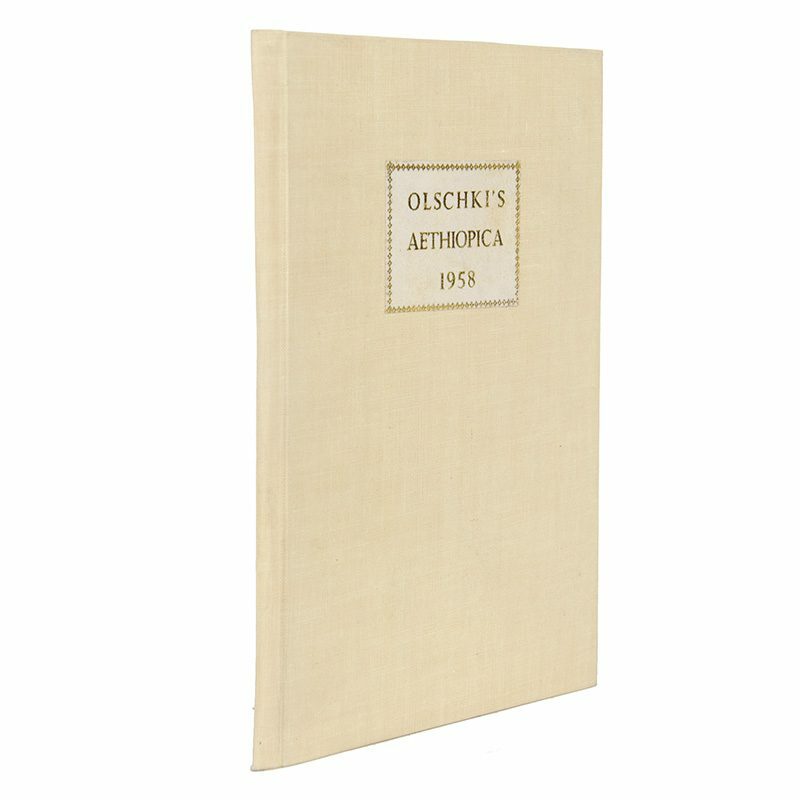 OLSCHKI, Leo S. Aethiopica, Catalogi No 131. Firenze: Libreria Leo S. Olschki, 1958 Later cloth, Cr.8vo. 24pp. A catalogue of Ethiopian books from the Italian bookseller, Leo Olschki. From the library of Dr. Juel-Jensen with his Amharic bookplate and copies of correspondence between him and Mrs. Olschki-Witt; a fine copy in a later light yellow cloth with the publisher’s wrappers bound-in.